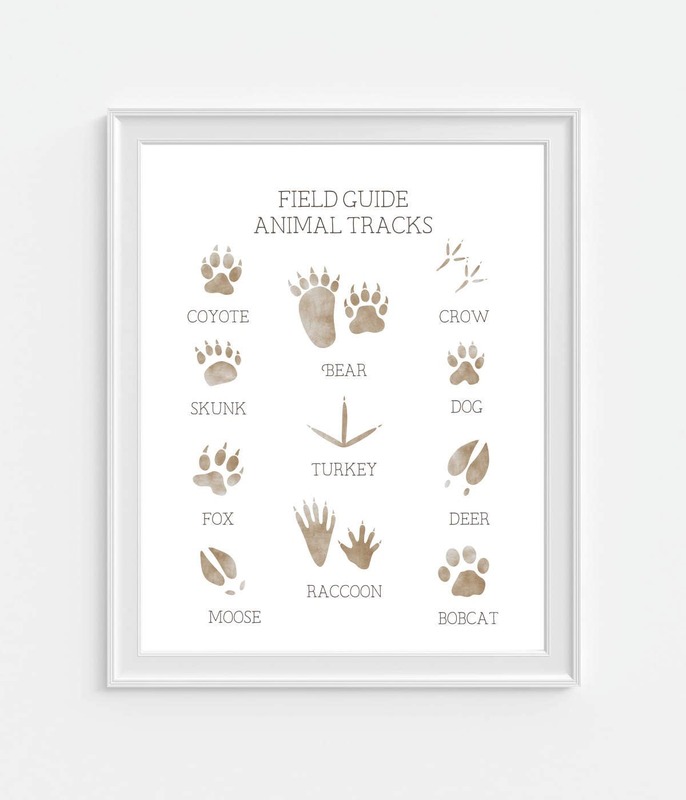 Animal Tracks Art Print - Field Guide. Lite Brown Faux Watercolor. Kodak Endura Professional Photo Paper Has A Standard Archival Value of 100 years in home display; 200 years in dark storage. Going to fit perfectly in my nursery! If you are unhappy with your order for any reason please contact me within 7 days of receiving your package. I will do my best to resolve the problem. Refunds are on a case-by-case basis. Item(s) should be shipped back without creases or bends in the print(s). Refund is for print(s) only. Shipping cost are not refunded and you are responsible for the cost of the return shipping. Once I receive the package I will refund within 1 to 2 business days. If you receive your print(s) bent or creased due to the delivery from USPS, please send a picture of the print and photo mailer. A replacement will gladly be sent within 5 to 7 business days. Custom orders are non-refundable due to the design time that is put into each piece of work. Please be aware that monitor colors might not match up perfectly with what you see on your screen. Artwork is printed within 5 to 7 business days, then shipped via USPS First Class Mail which averages delivery time 2-5 days in most cases*. Delivery time is also based on distance. There is no extra cost to ship multiple items. You will receive your tracking number on the day of shipment. This allows you to track your package right up to the arrival time. Shipped in a protective cello clear bag & mailed in a rigid photo mailer with either cardboard or heavy chipboard. I do not provide a receipt with your package. You will receive an email with your purchase receipt. Please ensure you have the correct 'shipping' address provided to Etsy. *If artwork is needed within a time frame please email your expected date so I can let you know if it is possible to get the package to you on time. Unfortunately I am not shipping outside of the U.S. at this time.